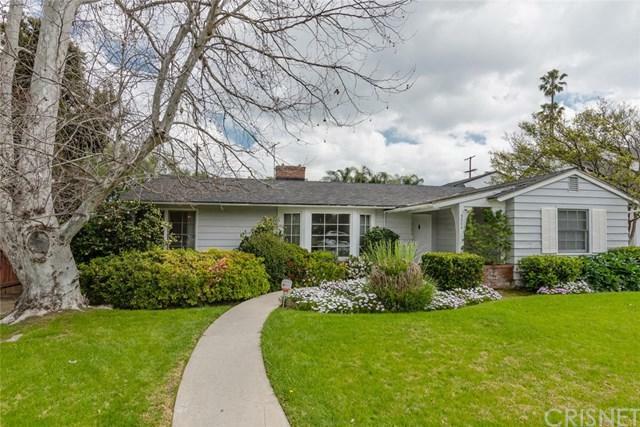 ENCINO WOODS CHARMERTraditional ranch home on a large over 10,000 sqft lot. A timeless example of the 1950+GGs architectural style with many modern upgrades but still keeping the romantic and artistic feeling of the era. This home oozes with charm. 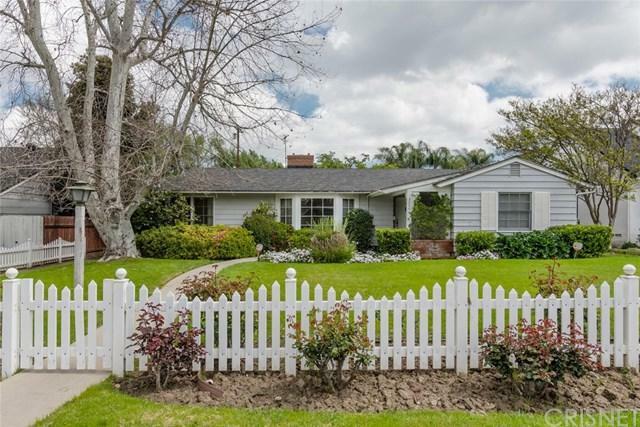 Enter the property through darling white Picket fence and enjoy the rose studded large grassy front yard. The large living room will great you with a beautiful brick fireplace and bay window and view of the well manicure front garden. 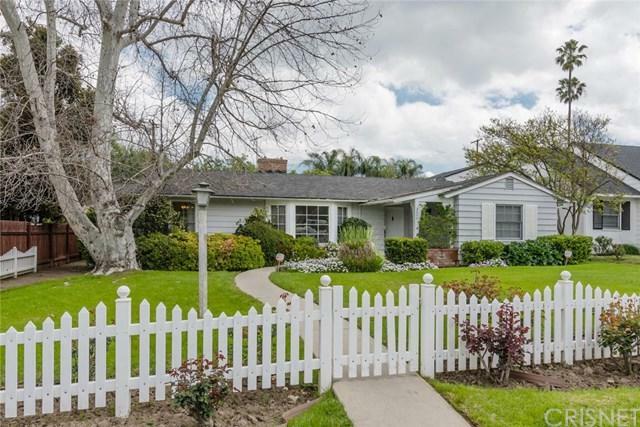 The home features a Formal Dining room, big kitchen with service porch and office nook, separate family Room with Fireplace, huge Master Suite with private bath and lots of closet space and a large private backyard with a covered patio for those wonderful warm California nights to dine El-Fresco. The grounds are sprinkled with many species of Rose bushes, fruit trees and manicured grounds. This house has all the attributes of a true Home. 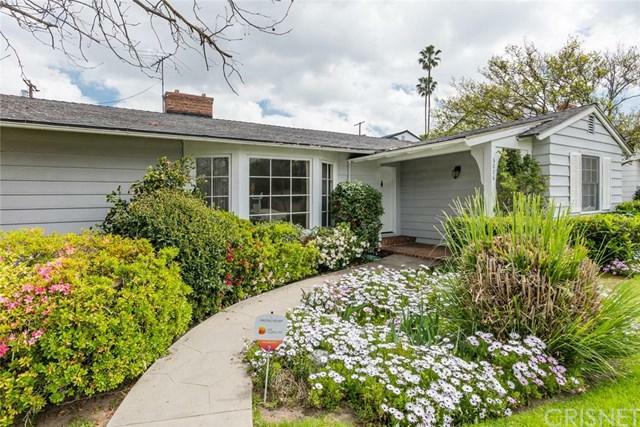 Close to shopping, entertainment, transportation, parks and recreation and belongs to highly revered schools. Welcome Home.